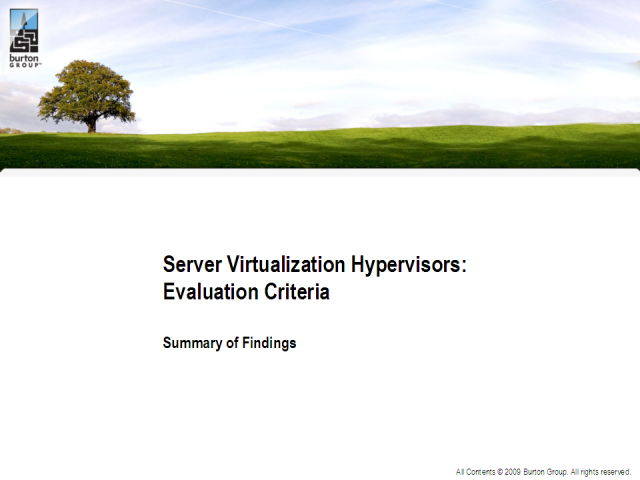 Server virtualization has evolved from a development, test, and training enabler to a core foundational element of the production infrastructure. Enterprises, whether new to virtualization or veteran, must be conscious of x86 virtualization’s core evolution as well as be capable of discerning between key technical requirements and marketing checkboxes. In this Data Center Strategies overview, Senior Analyst Chris Wolf breaks down today’s x86 server virtualization architectures while highlighting the technical details and “under the hood” features that differentiate competing vendor solutions.